The coils at the top are the No. 5-AD Retardation Coils. The No. 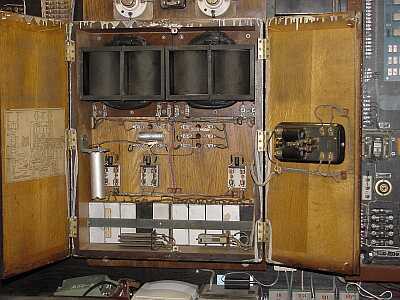 26 Telegraph Relay is mounted on the right hand door. The capacitors are located near the bottom and the line relay is at the bottom right. Here is a closer view of the No. 5-AD Retardation Coil. 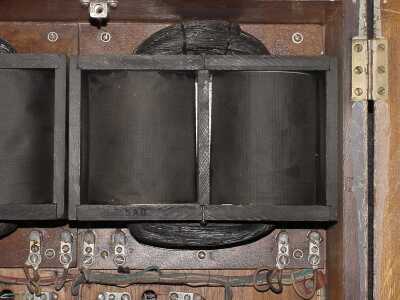 It consists of two silk covered windings on a common iron wire core. Here's a closer view of the No. 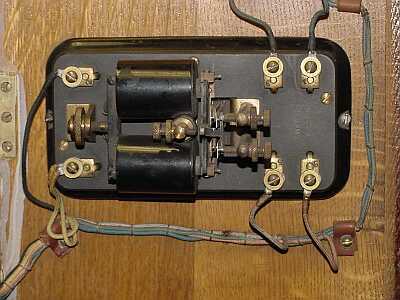 26 Telegraph Relay. This is what steps out the polarity reversals.